We all know the importance of a balanced diet and try very hard to be good (most days anyway!) so it adds to the occasion to indulge yourself a little at Christmas. Despite best intentions, the indulgence gradually accumulates; starting with Christmas parties, canapés and quick present handover lunches with your friends, reaching its peak on Christmas day. However, after a day or so of goose fat enveloped golden roast potatoes, syrup soaked sponge puddings and continued exposure to the Roses tin, we are all feeling the effects of these goodies and are seriously considering a drastic detox diet. But wait, you may not have been as naughty as you think; many people eat much more fruit and veg at Christmas then any other time of year. If you have a peek at other people’s shopping while patiently (!) waiting in line at the supermarket, you will notice many items which are missing the rest of the year. Family packs of mixed nuts jostle for space with dried fruit, satsumas, dates and the crimbo veggie favourites – the dreaded sprouts, the not so dreaded parsnips and good old carrots. There may even be some melon for a continentally inspired starter, or Iceberg lettuce for a seventies legend. Last but not least, there is the carton of orange juice for the obligatory bucks fizz on Christmas morning. So, with a little more effort we can all up our fruit and veg quota and assuage our consciences just enough to put off the obligatory guilt until the New Year at least. Even if you just substitute a couple of bad things, or add one extra fruit to your diet you will be reducing your risk of heart disease and cancer. Make your own cranberry and apple sauces so you can control the sugar content; cranberries are packed full of vitamins. 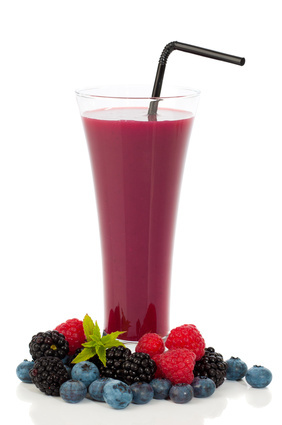 Start the day with a smoothie made from exotic fruits. Serve vegetable crudités with dips, made by adding chopped onions, chives, or herbs to crème fraîche: a refreshing change from crisps. Try some dried ‘superberries’ as an alternative snack. Acai and goji berries are nutrient dense fruits that carry many health benefits. 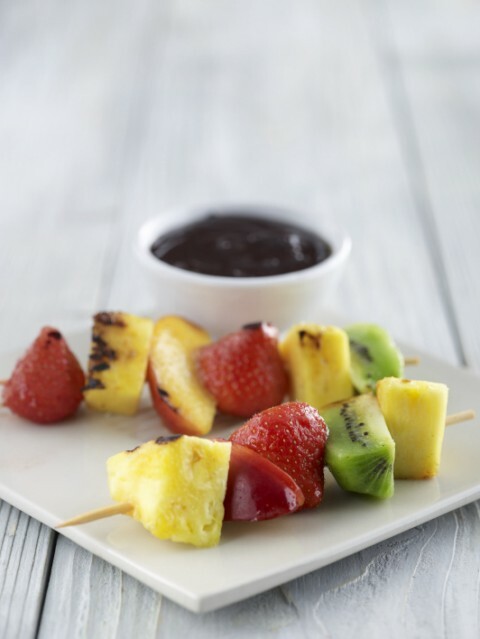 Don’t just stick to cheese and sausages for cocktail sticks, try pineapple pieces, satsuma segments, dates, grapes and cherry tomatoes or you could make some mini dried fruit kebabs. 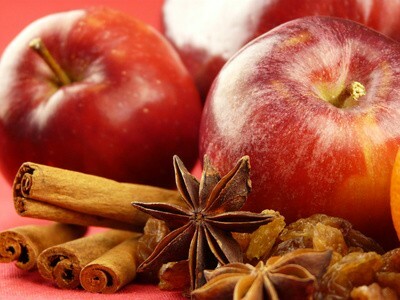 Mix red wine with orange juice or cranberry juice and add cinnamon and spices or a mulled wine sachet then heat gently. This will result in a healthier mulled wine and fill your house with a delicious Christmassy aroma. Elixir attended the British Nutrition Foundation’s conference on hydration last week and came away with a few very interesting facts about water. In general, we are not very clued in about water and hydration – most people in the UK have a very loose understanding about the signs of dehydration. We look for clues such as darker urine to decide whether or not we are dehydrated – the truth is that darker urine can be caused by a number of things – including vitamin supplements. Thirst is just nature’s way of telling us our blood water concentration is dropping, not an indication that we are about to become dehydrated. Serious dehydration is almost impossible to achieve – unless you are stuck in a desert or paralysed with no access to liquids. As mentioned above, it is possible to survive without water for some time; a woman who had been in a coma for years (in the US) survived for 13 days without any liquids after it was decided to turn off her live-saving machine. The most shocking thing we learned was the truth behind the ‘eight glasses of water’ myth. Research showed that over 70% of people can quote the recommended amount of water of six to eight glasses. The truth is, the recommended amount of water is 2.5 litres per day and we ingest most of it in food. The less dense the food, the more water it contains – meaning fruit and vegetables contain the most. As we get older we are more susceptible to the marketing ploys of drinks companies – we start to buy into the ‘health’ drink to lower our cholesterol and raise the pro and prebiotic levels of our stomachs. Beware of drinks advertising an increased level of antioxidants as well – a study found that drinking tea gives you a better level of antioxidants over 24 hours than many health/fruit based drinks. Berlin: People who eat lots of fruit and vegetables, especially tomatoes and red peppers, are likely to have fewer wrinkles, according to a new study. And event those who don’t can get younger skin if they change their diet to include more vegetables and fruit containing antioxidants. The study in the latest issue of the German magazine, The Dermatologist, conducted at the Berline Charite Hospital found that people with higher amounts of antioxidants in the skin had fewer wrinkles and therefore looked younger. Antioxidants are the substances that scientists believe fight free radicals, unstable molecules that are a factor in ageing, skin damage and cancer. Antioxidants contained in the body are credited with preventing the majority of free-radical damage. Unfortunately the body is not capable of producing enough antioxidants on its own. 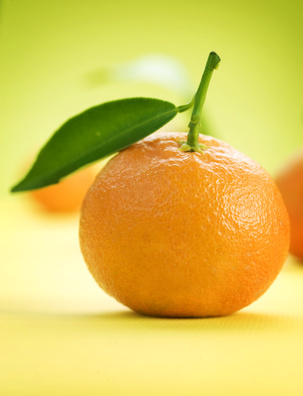 Antioxidants include vitamins and minerals such as A, C, D and E as well as beta carotene. They are contained in various vegetables such as carrots, tomatoes, red peppers, kale green tea. The German study showed that vegetarians had more antioxidants in their bodies than non-vegetarians. The article also warned that it was better to get them naturally rather than overdosing on dietary supplements. Washington: Low-fat vegan diets are more successful that those including meat, says a new study conducted by Georgetown University Hospitaland George Washington University in the US. Dr Barnard discovered that those on the vegan diet were able to lose weight without feeling hungry. All the women were of post-menopausal age. Mr Barnard said: “The study participants following the vegan diet enjoyed unlimited servings of fruits, vegetables, whole grains, and other healthful foods that enabled them to lose weight without feeling hungry. The journal article also refers to a study of 55,000 women in Sweden which reinforces Dr Barnard’s findings. Researchers at Tufts University in Sweden found that of the group, 40% of meat-eaters were overweight or obese compared to 25% to 29% of vegetarians and vegans. Worldwide, vegetarian populations experience lower rates of heart disease, diabetes, high blood pressure, and other life-threatening diseases. Meanwhile, a new study appearing in September’s Journal of Urology in the States shows that a low-fat, primarily vegan diet may slow the progression of prostate cancer. 20 foods can help save you from cancer, says world leading cancer charity. A list of the top 20 cancer beating foods – fruits and vegetables – has been compiled by the World Cancer Research Fund (WCRF). The WCRF, a charity committed to cancer prevention, is publishing its findings in a report, Food Nutrition and the Prevention of Cancer, based on thousands of studies, being published in 2006. Eating more vegetables and fruit is the second most effective way to reduce the risk of cancer and the most effective way is not to smoke. The 20 superfoods the WCRF identifies are vegetables, fruits, nuts, oily fish and whole grains – the familiar foods that it says “stand out in the nutritional crowd” because of their health-giving properties. They contain the highest levels of antioxidants, the vitamins and minerals that help protect the body from the damaging effects of oxygen-free radicals, the unstable molecules created by the body and produced by toxins that can be carcinogenic, such as tobacco. Separately, the Royal Marsden Hospital in London is entering the fray with a book to be published next year called Cancer: The Power of Food. This is the first time that the premier cancer-healing institution in Britain has offered advice to the public on cancer prevention, and the first time it has tried to cash in on the cookery book market. Written by the hospital’s chief dietitian, Clare Shaw, the book contains recipes for dishes such as One-Pot Beef, with tips on the need to cook the beef slowly to “avoid the formation of heterocyclic aromatic amines”. Cheesy Lentil and Vegetable Pie is a “high-fibre supper dish that is a good source of caretonids, folate and calcium”. There’s useful advice on weight-loss regimes. Coyly avoiding any mention of the Atkins diet, the book asks whether a “high-protein, low-carbohydrate weight-reducing diet” will affect cancer risk. There are other valuable nuggets. Although it is assumed that raw fruit and veg are better than cooked, as some vitamins are destroyed in cooking, this isn’t necessarily true. The body absorbs beta carotene (which is converted in the body into Vitamin A) better from cooked carrots than raw. Both the WCRF and the Royal Marsden try, in different ways, to refine the research evidence into advice that people can act on. Certain facts are established – such as the dramatic decline in stomach cancer in the west in the past century, thought to be linked with the advent of the fridge. 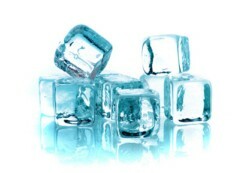 Refrigeration meant a switch in the diet to consumption of more fresh food and less preserved – salted or smoked – meat, which is known to increase the risk. Stomach cancer remains high in countries where salty foods occupy a prominent place in the diet, such as Japan. Bowel cancer is commoner in countries of the west, where more refined, processed food is eaten, and rare in the developing world, where the diet is high in whole-grain cereals, pulses and root vegetables. A high-fat diet also appears to increase cancers of the bowel, breast, prostate and lung. But there is one problem with their thesis that has arisen too late for either organisation to address. The single most consistent piece of advice from the cancer epidemiologists in the past decade has been to eat more fruit and vegetables. Southern Europe, where more fruit and vegetables are consumed, has lower rates of cancer of the mouth, throat, lung and stomach than northern Europe. But what should we eat today? Those who have to cook tonight cannot wait for tomorrow’s research. The only sensible answer is that a diet based on the WCRF’s 20 superfoods and the Royal Marsden’s recipes is unlikely to do harm, and probably offers the current generation the best chance of outliving their parents.